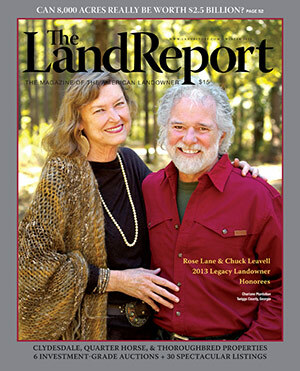 The Holiday 2013 issue of The Magazine of the American Landowner is now available featuring 2013 Legacy Landowners Rose Lane and Chuck Leavell. Best known as the keyboardist for the Rolling Stones, Chuck has spent decades studying and practicing timber management on their Charlane Plantation in Middle Georgia. Rose Lane’s family has owned land in the Peach State since the 18th century, and together the two have created an amazingly diverse operation that offers artistic and photographic retreats; quail, turkey, and deer hunting; and an ever expanding timber operation. 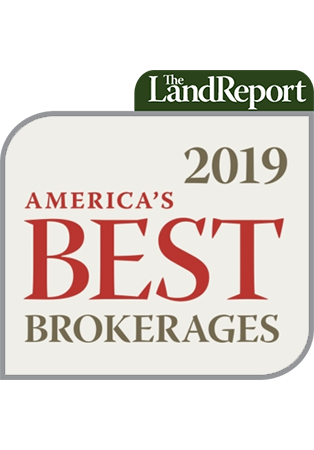 Three of nation’s leading equestrian properties are also featured in the Holiday issue: Bob Funk’s Express Clydesdales, Jim Guercio’s OW Ranch Quarter Horses, and Virginia Kraft Payson’s renowned Thoroughbred training center, Payson Park. In addition, the Holiday issue features an in-depth look at the hottest market for equestrian properties in the nation: Wellington, Florida.